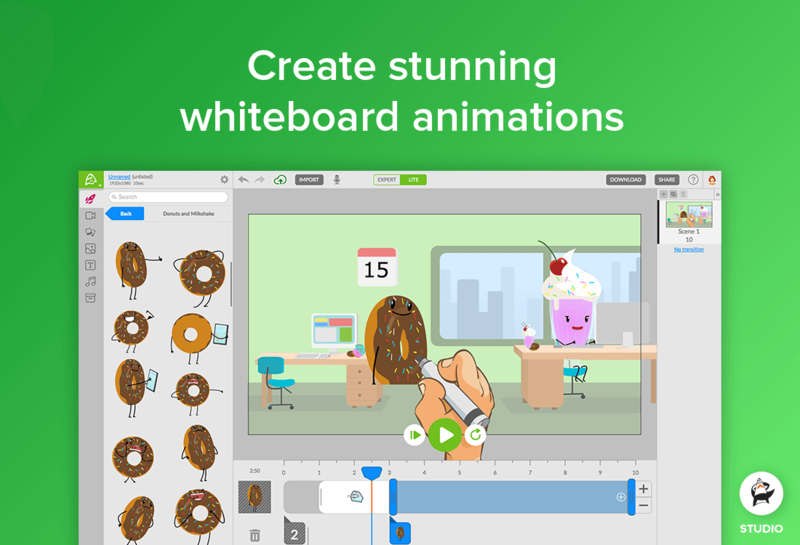 Entertain and inform your audience with all sorts of animated videos and whiteboard animations. 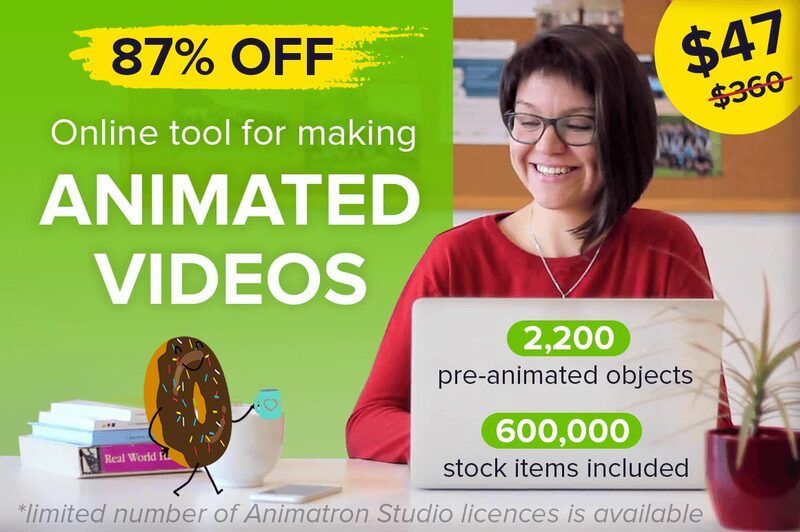 With Animatron, you can do it all. 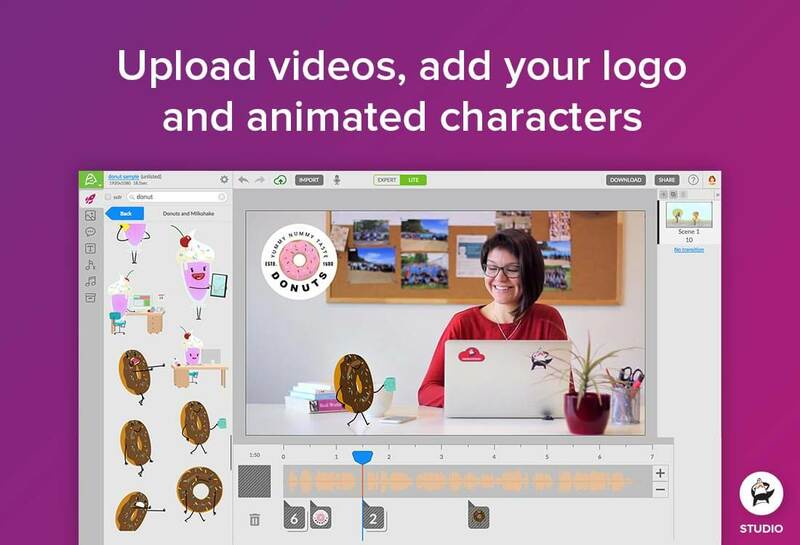 This easy-to-use robust tool was built for both beginners and professionals, allowing you to easily create HTML5 animations, GIFs, videos, explainers, presentations and more. Fully customizable, you can play around with more than half a million royalty-free elements as you build your perfect video! 600,000+ royalty-free video clips, audio, pre-animated items, and photos. 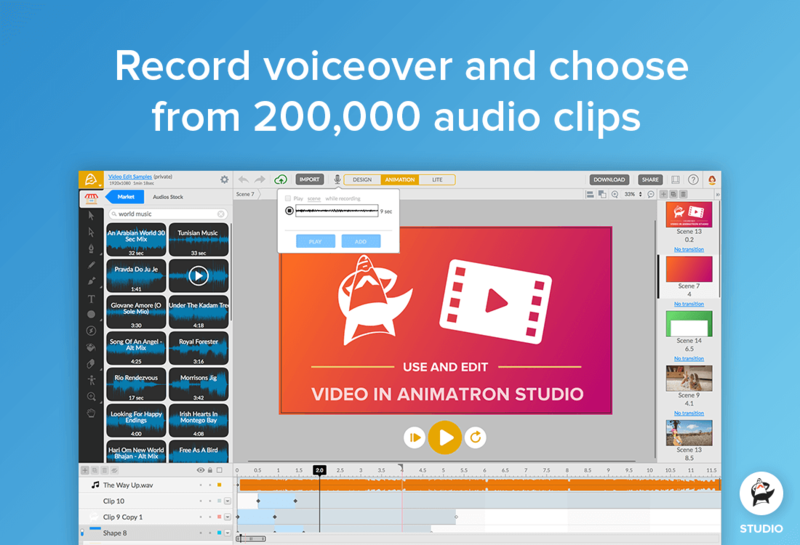 Import and edit your own content – photos, videos, audio, graphics. Fully customizable – change up shapes, colors, sizes, animation, text, effects. Easily export to multiple popular media formats.